Caernarfon Artist Regional Network (CARN) is a membership organisation and constituted group that works through artists to deliver benefits towards the wellbeing and prosperity of the community. It recognises that by helping artists to develop confident and thriving art practices, it can maximise the contribution they make to society. In order to do this CARN developed Balaclafa – an event, exhibition, shop, meeting and discussion space for artists, makers and creative people to enable activity across the area. 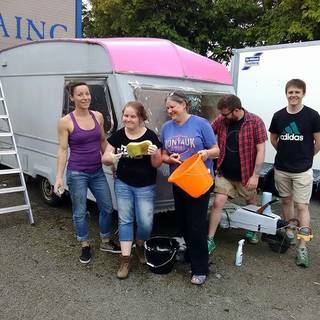 The group also operates a short residency programme based in Caernarfon a temporary space in a converted caravan. The group also supports a range of local groups and societies by active partnership working.